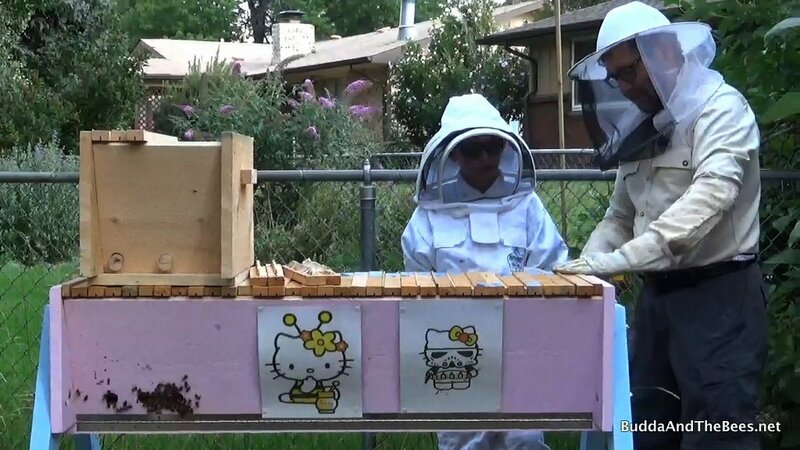 On Saturday, it was time to harvest some honey from Duncan’s hive (aka Hello Kitty). 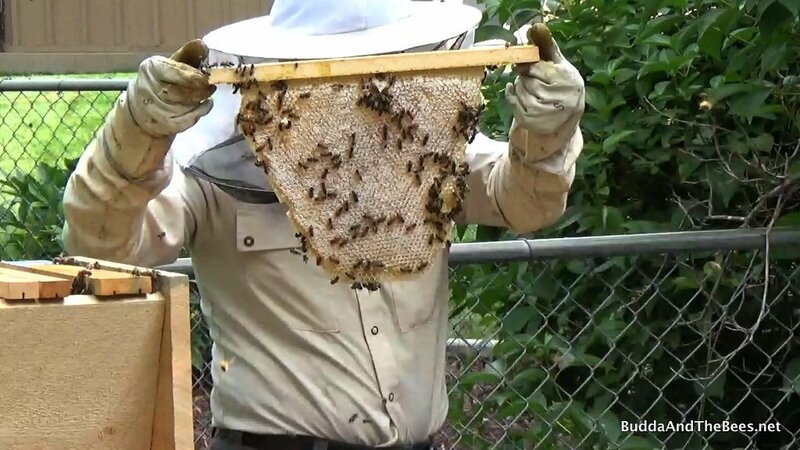 His sisters and parents joined in the fun – watching, laughing, videoing and getting stung. What should have been an easy harvest, turned into a bit of a mess because there was a lot of crossed combs and lots of bees! The hive was full to the back and when I pulled out the first comb, it broke off and the one in front of it was attached all the way to the back. That wasn’t a good sign. The next few combs were crossed and covered in bees. Then, there was a comb that had collapsed previously and when I tried to move that, it broke off. So, I had to work around that one for a while. There were a couple of nice combs that we were able to get for comb honey, but most were destined for the crush and strain. My previously perfect method for getting comb out of the hive and into the nuc didn’t work so well this time. At one point, I was just trying to figure out what to do next when Duncan’s father came along and asked me how I was doing. 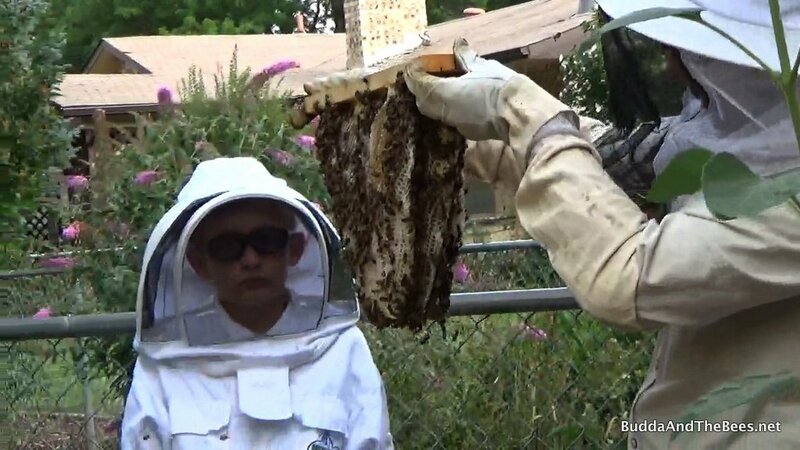 I’d been stung on the belly 4 times, Duncan had a bee in his suit and ran away, his sister got stung on her ear, the bees were everywhere and I was just standing there dumbfounded. It was a pretty funny sight (at least in retrospect). 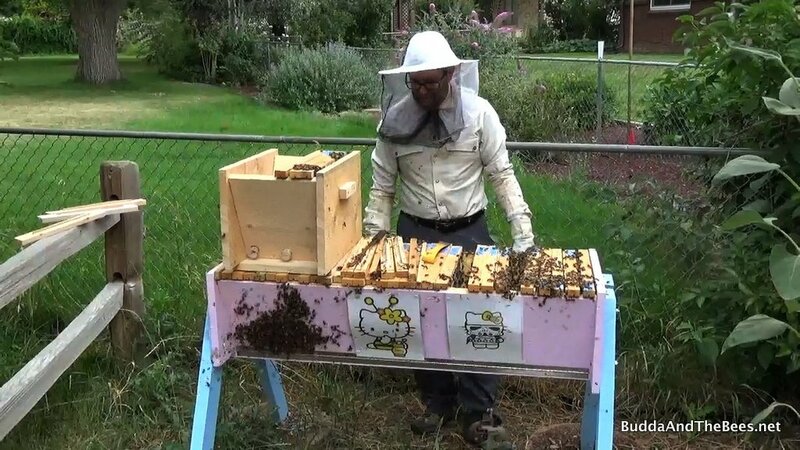 But finally, we got all the combs out and most of the bees off them and took them over to my house to crush and strain. While I was cleaning off one of the bars, I cut into the kerf along the bar and it went into the bucket. But when we pulled it out, we ended up with a new treat – a honey pop! Watch how it was created in this video. 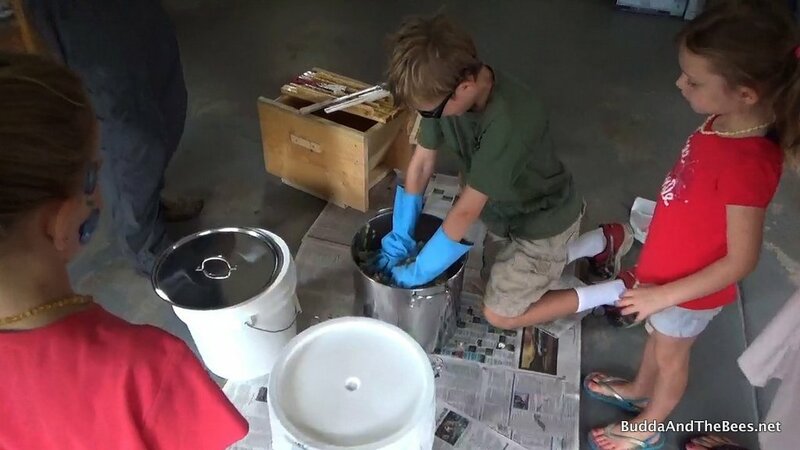 Once we got all the honey into the bucket, Duncan got to mash it all up. We poured it into the strainer and then it was time for cleaning up the tools! In the end, we got about 27 lbs from 7 combs – about 21 liquid and 6 for comb honey! Despite the bumps and stings, I think they all had a good time – I’m sure the honey pop helped! Honey pops! Brilliant!!! I could see those selling like hotcakes at a farmer’s market! The video is too sweet — love the running commentary by Duncan’s sister. Of course, the downside to honey pops is the drippy, sticky mess. Maybe honey cones to catch the drips!